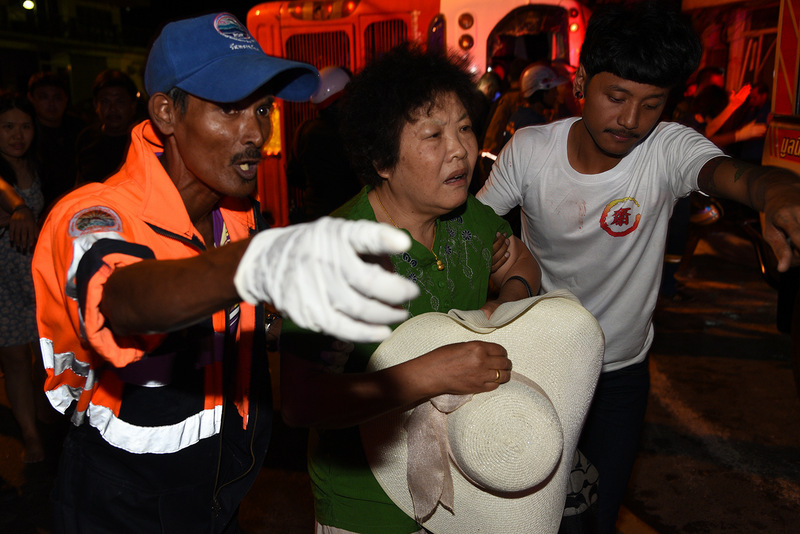 PHUKET: The Governor of Phuket Phuket has called an emergency meeting this morning (July 11) in the wake of the devastating tour bus crash on Patong Hill last night that has killed person, a 10-year-old boy. 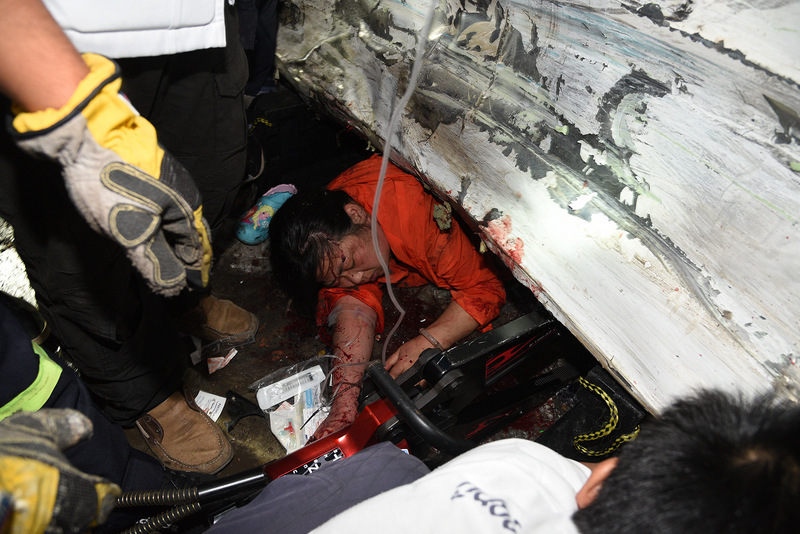 Staff at Patong Hospital early this morning confirmed that the boy, Liu Jierui, was dead on arrival at the hospital. 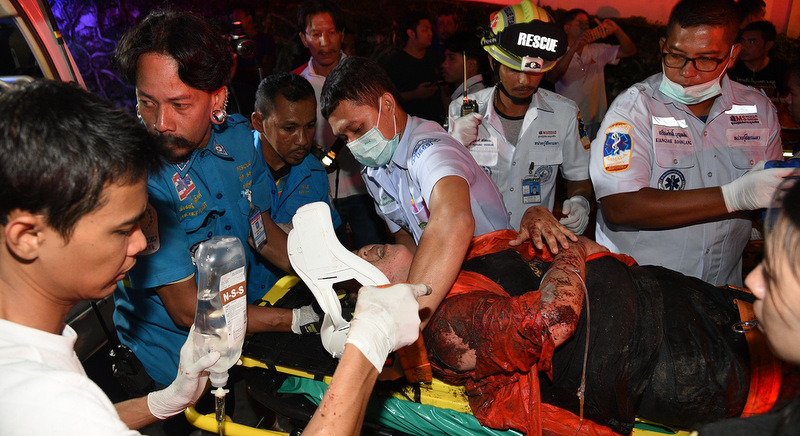 He had suffered fatal head and chest injuries when the bus flipped onto its side and wiped out power pylons and the fronts of several houses in the small street at the bottom of the hill, just past Patong Temple (Wat Suwan Khiriwong). He was unconscious and unresponsive when rescue workers pulled him from the wreck. As of this morning (July 11), staff at the hospital confirmed that Jierui’s father, Liu Fei, 36, had died from head injuries sustained in the crash. Seven of the other 31 tourists on board suffered serious injuries. Twenty-two tourists escaped with only minor injuries. Also on the bus, registered in Phang Nga province, were two tour guides, two tour guide leaders, one tour company staffer and the driver, 36-year-old Krittaporn Nualdua, registered as a resident of Rassada in Phuket. The driver, Krittaporn, lost control when the brakes failed at the bend at the bottom of the hill, police noted. Krittaporn was taken into custody for questioning by police last night as they continue their investigation. 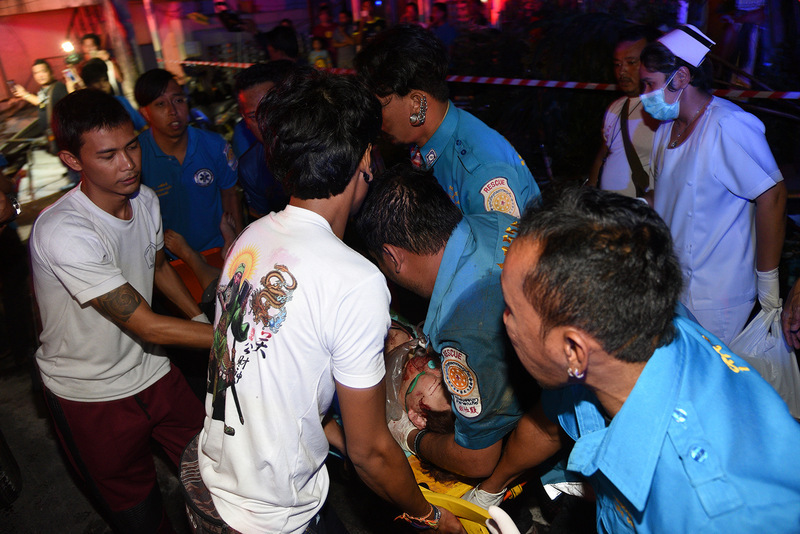 Patong Police Chief Col Tassanai Orarigadech has already vowed legal action against the driver and the tour company involved in the deadly tour bus accident at the same location less than two weeks ago. In that accident, on June 30, a bus carrying Chinese tourists slammed into a concrete wall built in front of a house to stop runaway vehicles from ploughing into the home. Paully44...wrong as usual. Read Capt B's adept rendition of the workings of brake hydraulic system. Read also the reports of other bus accidents, where the driver has reported brake failure, which coincides with Capt B's analysis. You have not explained what you mean by "driver negligence" and what that may entail. Paully44...clearly you didn't work out my post as you have no legal training. The legal advisory sign is for the reason you state..."Thai drivers never acknowledge signs." If they choose to ignore a sign, that is prima facie evidence of negligence, and any Police charges just reinforces that evidence. Jor 12: Your rambling won't work; Thai drivers never acknowledge signs, police never enforce signage and road rules, plus the idea is to actually prevent the accidents before they happen, not turn it into a legal dispute after the fact whereby any TOURIST if not killed in an accident may attempt to sue the Thai operator if they survive, how ridiculous! Capt B...a correct rendition of the workings of the hydraulic system. However, placing Police at the top of a hill to check on the roadworthiness of a bus or any other vehicle for that matter is a waste of resources and also, given that commentators on here state that nothing is ever done. No one's fault. 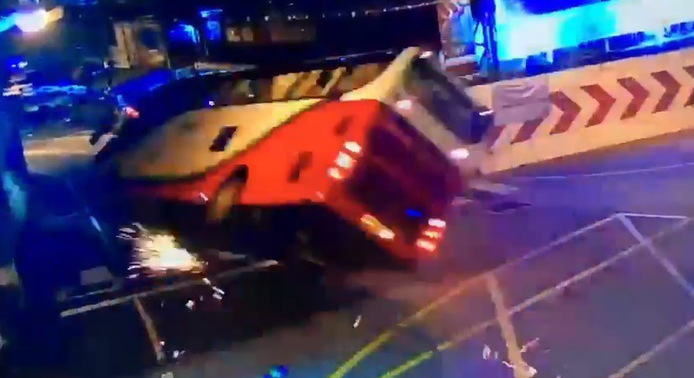 But wait... if the foriegn tourists were not on the bus none of them would have been injured. So it is the foriegner's fault. Case solved. Business as usual. Brake Fluid is not anhydrous, which usually refers to crystalline compounds that contain no water, it is in fact Hygroscopic which refers to a substance with a tendency to absorb moisture. Engineers have spent many years developing brake fluid and recommend it be changed at 2 year intervals, I suspect they know their stuff. 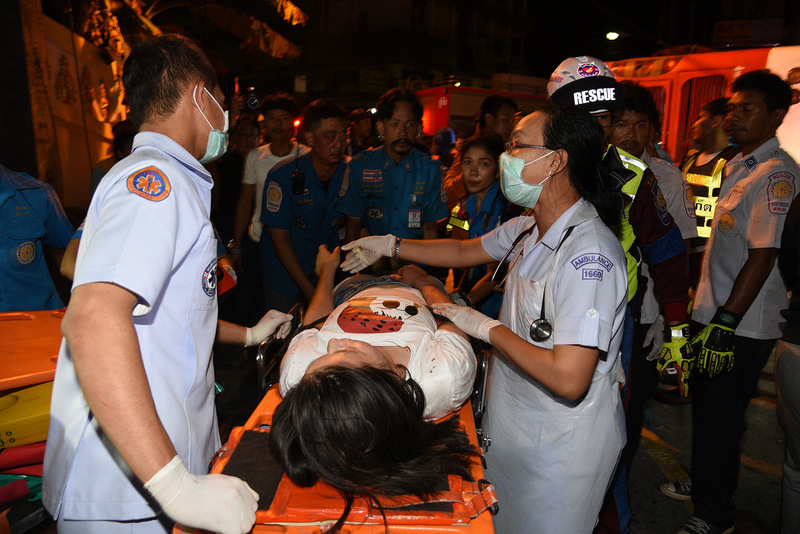 THE PATONG DEATH HILL STRIKES AGAIN !!! 1) The driver is "Not At Fault". 2) The Bus Company is "Not At Fault". An emergency meeting to what purpose? CaptainJack69...how and what the company employs staff to cater for its clients is their prerogative. That doesn't extend to payments to bus companies - or anyone else for the matter who provides goods or services for them. R.I.P.to 10 Years boy Liu Jierui and his father Liu Fei, 36. 2 "tour guides" and 2 "Tour guide leaders"? Could it be the company sees the need to employ foreign guides in addition to the Thai guides the current law stipulates? Nah, Thai guides are perfect right?